Joining Medi-Share is more than just making a practical decision about paying for healthcare. It’s also about joining an important community of shared faith and values. And when you are a member of a community of fellow Christians who are relying upon each other, it can help you change your mindset about healthcare. 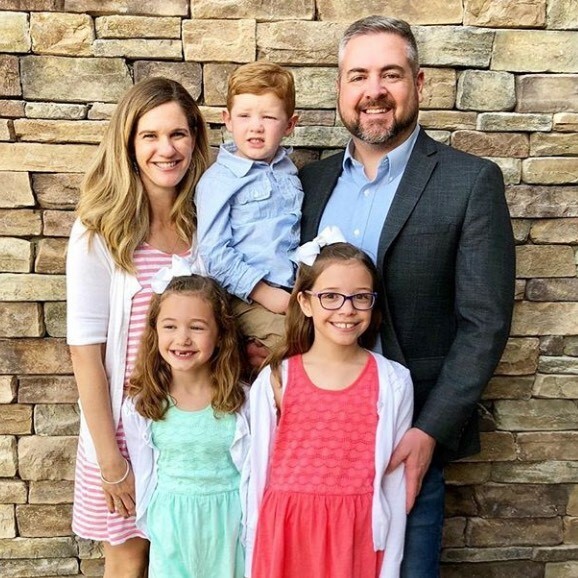 My family joined Medi-Share four years ago, and being part of this community has made a big difference in everything from our habits to our budget. We know that sharing costs means we are both reliant on and accountable to our fellow Medi-Share members—which has changed how we make decisions. It is so easy to fall into negative lifestyle habits—like eating junk food, neglecting to exercise, driving while distracted, overworking, not getting enough rest, spending too much time on screens, or skipping the sunscreen. We know that these choices are bad for our health, but it’s tempting to think that we are only hurting ourselves. The truth is we are all connected, which means your lifestyle choices have a ripple effect on your family, friends, and community. Adopting the healthcare sharing mindset can keep that connection on the top of your mind, since you are literally sharing the potential costs of your lifestyle choices with others. Since we joined Medi-Share, I think bigger than just myself anytime I’m tempted to make a lifestyle choice that’s not in my best interest. My family is surrounded by a community that will be hurt if something happens to any of us, so it’s my duty to our community to take the best possible care of myself and my family. As a CPA and financial blogger, I know that having a robust emergency fund is the cornerstone of financial health. But there are always competing financial demands and it can feel like it’s no big deal to let the emergency fund slide. Switching to the healthcare sharing mindset has motivated us to be much more diligent and deliberate about building our emergency fund savings. We know that we will need to cover the AHP if we have a medical need, and so we make saving for an emergency part of our yearly financial plan. Knowing that we are sharing healthcare costs with others has helped us to prioritize our emergency savings so that we can be good members and good stewards of Medi-Share. A funny thing happened when we became more diligent about emergency fund savings: we found we had more slack in our monthly budget. That’s because once the emergency fund was established, we had money available when an emergency struck (which they inevitably do). Though we were putting a chunk of money aside in the emergency fund each month, we also stopped raiding other parts of our budget to pay for an unexpected dental procedure or a doctor visit during flu season. That meant less financial juggling and stress each month. Insurance companies may provide funding for healthcare and medical procedures, but that is all they do. Joining Medi-Share provides so much more than just bare financial assurance in a medical emergency. Being part of the healthcare sharing community has given me hope that in a time of need we’d have more than just a faceless company looking out for us—we’d have a community supporting us and even praying for us. That offers up far more comfort and hope than any insurance company could ever provide. One of the big issues with the traditional insurance model is the fact that the patient is left out of financial participation in the healthcare industry. Big insurance companies and Medicare do the negotiating and price-setting, while the patient is left scratching her head, and not worrying too much about it because it doesn’t feel like her money. With the healthcare sharing mindset, I now have skin in the game when it comes to healthcare costs. I can participate more actively by comparing prices, negotiating, and using the power of my healthcare choices to help drive prices down. I’m no longer playing with money that doesn’t feel real, but making the best decisions for our shared money. So how has the healthcare sharing mindset changed things for you? Comment below! Philip Taylor is a CPA who also runs a successful financial blog – PTmoney.com – which he started back in 2007. As if that weren’t enough, the self-proclaimed financial nerd created FinCon, an annual financial content expo helping hundreds of financial bloggers reach millions with positive money messages. Philip lives north of Dallas, Texas with his wife Teresa and their three kids.